It is hard to believe that the Saudi military intervention in Yemen came as a surprise to U.S. intelligence agencies. 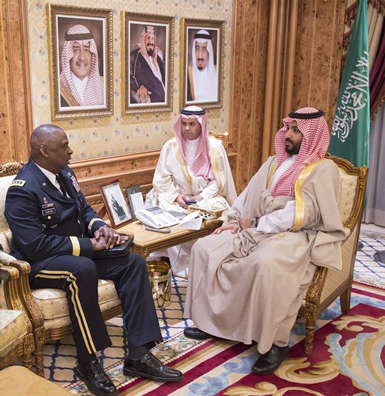 Such a critical act, code-named "Operation Storm of Resolve" (Arabic: Asifat al-Hazm), involved coordination with nine other Arab partners, contacts with Pakistan, and the deployment of Arab air power in Saudi Arabia. It could not have gone unnoticed even by the most negligent officer in the U.S. intelligence agencies whose vigilance of the area is one of their top priorities. Moreover, a week or so before the first Saudi wave of attack, the U.S. Administration chose not only to evacuate its diplomats from Aden but also to withdraw a small contingent of Special Forces deployed in the Al-Anad airbase in the vicinity of Aden. From different accounts relating to the decision-making process that led to the military intervention, it is known that traditional U.S. allies (such as Turkey and Egypt) began to discuss the military coalition at the beginning of March, following the visit to Saudi Arabia by Turkish President Erdogan who expressed his support for the operation. It was no surprise to hear afterwards that Turkey provided logistical support, verbally attacked Iran and called on Iran and the militant groups to withdraw from Yemen. On March 4, Saudi King Salman pressed Pakistan's Prime Minister Nawaz Sharif to "boost the number of troops in the kingdom," the Financial Times reported. The coalition was ultimately created on the weekend preceding the Saudi attack at a meeting held in Riyadh, Saudi Arabia. The Saudis, the main actors in the play, did not conduct detailed, top-level discussions with the Obama Administration on U.S. support for the operation until a few days before the beginning of the air strikes. The Saudis and their allies spoke about different options but none went into specifics. Incredibly, General Lloyd Austin, head of the U.S. Central Command, told a Senate Armed Services Committee hearing that the U.S. learned the Saudis were going to attack Yemen only one hour before the operation was launched. In other words: the U.S. was taken by surprise and the Saudis had succeeded in their deception plan. The conclusion is obvious: The Saudis have little trust in the U.S. administration and suspected that the Obama Administration's Iranian agenda would lead it to stop the Saudi coalition acting against the Iranian-backed Houthis in Yemen. The Saudis have expressed very clearly on many occasions their opposition to a nuclear Iran and, as noted by Israeli leaders, see the Administration reaching a "bad agreement" with Iran. The Saudis are exasperated by the Obama Administration's courtship of Iran — the same Iran that supports their enemies in Lebanon, Syria, Bahrain, Yemen and Iraq, and claims control of four Arab capitals (Beirut, Damascus, Baghdad and Sana'a). Saudi Arabia decided it was time to draw the line between the main two camps fighting over hegemony in the Middle East (the Iran-led axis versus the moderate-Arab camp led by Egypt and Saudi Arabia) and demanded that the U.S. choose sides in the war. This may explain why the Saudis discussed with the U.S. different options in Yemen but never went into details about their military intentions. It is evident that the Saudis perceived that the U.S. did not approve of such a move after the Americans expressed reservations about such intervention. This could explain the low-profile U.S. "logistic and intelligence support" given to the operation. As in the "lead-from-behind" 2011 Libyan war strategy, the U.S. chose to stay "under the radar" to avoid openly associating with the operation it had to accept after the fact as a reality. The U.S. administration, taken by surprise, did not react immediately. Only two days later Obama called the Saudi king to express half-hearted U.S. support. The Saudi coalition also has another dimension: For the first time since 1948 the Arabs have succeeded in creating a military coalition aimed at an Arab state and not linked to the Arab-Israeli conflict. While Arab armies joined the military coalition in the first Gulf War, the coalition was led by the United States and was built around the American and international forces that took part in the campaign against Saddam Hussein. The Arab forces served more as a fig leaf. Today, moderate Arab countries have come to the conclusion that they must fight for the survival of their regimes and that terrorism identified with Sunni jihadists and the extremist ideology of Salafi Islam is the main factor for instability. Their scorched earth practices offer fertile ground for the incursion of "heretical" Shiite forces from Iran. Islamic organizations classified by the different regimes as terrorist groups have become the main target of the moderate regimes. This is the concept at the core of the pan-Arab force to be created as an intervention force to back Arab regimes under attack. Egyptians have pointed to Libya as being the next target for an Arab military intervention, while Palestinian President Mahmoud Abbas called for Arab military intervention in Gaza (meaning against the Hamas).